DAVE HAMMOND has been a top producing RE/MAX REALTOR® for over 40 years. 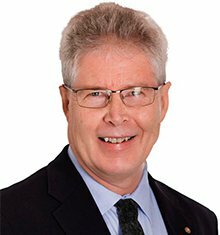 Licensed in 1978, Dave co-founded the original Bowen Realty (now RE/MAX), was an 8 year Director on the Vancouver Island Real Estate Board, VIREB REALTOR® of the year in 1990, 14 years in MLS Medallion Club and continues to be a top Nanaimo REALTOR®. Born in Duncan, raised in the Lake Cowichan area and graduated from UBC with a Bachelor of Commerce in 1978, specializing in Real Estate. Dave and his wife Cindy, have 2 daughters, Carly and Jennifer. Dave has a great belief in long term growth opportunities in Nanaimo and Vancouver Island. Dave knows that Real Estate involves more than a one time transaction, it means helping people with one of the most important decisions in their lives. That is why Dave is preferred and referred for over 40 years.